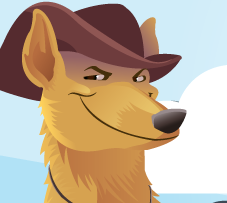 Salesforce CRM aims at giving its customer a quality data. In this real time, world Data Quality matters a lot. It helps to keep your org clean and tidy. No one wants to see the bulk of data having the same information. Just imagine a library having same types of books and same story concepts. Would you prefer to go there again? A big NO. Similarly, it is a best practice to remove duplicate data from time to time and keep your free from having the bulk of unwanted data. It is a desktop tool and designed for system administrators to provide data quality. It provides data cleansing, data maintenance, data verification for import, export, and duplication of data. It features drag n drop functionality and provides a detailed success and error log file. It compares an external file with salesforce data. It mass update fields, performs a mass merge of duplicate records, mass backup data. It is robust if learned right as knowing it takes time. It uses inbuilt logic to deduce according to the company name, address, zip codes and phones. It dupes contacts only. It can dedupe high volume of data due to desktop infrastructure. If your data volume is high and you perform data loads on a regular basis then this is perfect for you. It is a fantastic free tool for preventing duplicates from being entered in the system in real time. It acts as a shield for duplicate data and identifies, block and dedupe leads, accounts, contacts and person accounts. This won’t let you check bulk records as it does not support bulk deduping. It can only stop insertion of duplicate records but we can’t do anything for the existing duplicate records. It first identifies and then blocks duplicate leads, contacts, accounts and person accounts. It uses standard and custom salesforce fields to remove duplicates. It helps to merge and convert duplicate records into single records. It retains full control on blocking and merging of records thus eliminating any fear of loss. DupeBlocker stops the users from being able to create duplicates in REAL time, as well as web lead dupes, SFDC to SFDC dupes and more. It supports all salesforce objects including opportunities and custom objects. Along with custom object, it supports custom fields too to remove duplicates. It has a dual filter option which allows specification of which object should be compared against which object. The Auto-Merge Auto-Convert features allow scenarios to automatically merge new incoming records with existing records that match and the merge is based upon customizable mappings. It has built in “bypass and insert” option. It is a web-based tool and very easy to use. It has great merge features. If there is a problem with a merge, it has an undo feature which would fix the merge issues. If your data volume is medium and you want to handle everything in the cloud with not much desktop support, ring leads can be a good fit. It saves time as “Unique Entry” alerts you to existing duplicates as you type them in. This app shows a preemptive warning once you’ve entered a small portion of the record, allowing you to pause and work with the existing record rather than creating a duplicate, resolving, and finally moving forward. 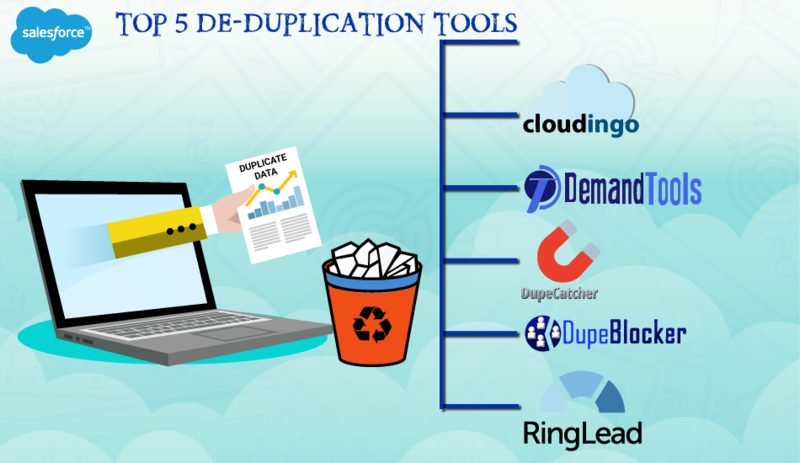 Each of the duplication tools has its own pros and cons. Let’s understand them more clearly and try to compare each other according to its features provided.